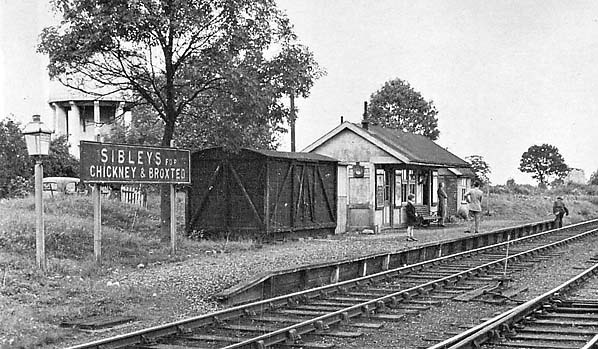 Notes: At Sibleys (for Chickney & Broxted), to give the full title, The train usually stopped at Sibleys to shunt by towrope. 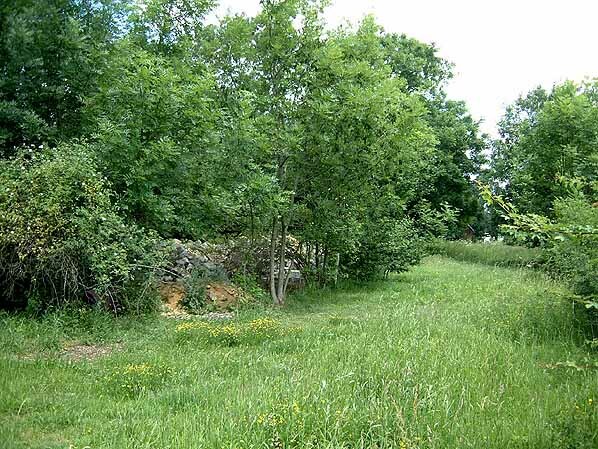 There was a goods loop at this station, so that by attaching the towrope to wagons in the adjacent loop the train engine could manoeuvre them from the other track. This diversion took up to ten minutes in the busy season. 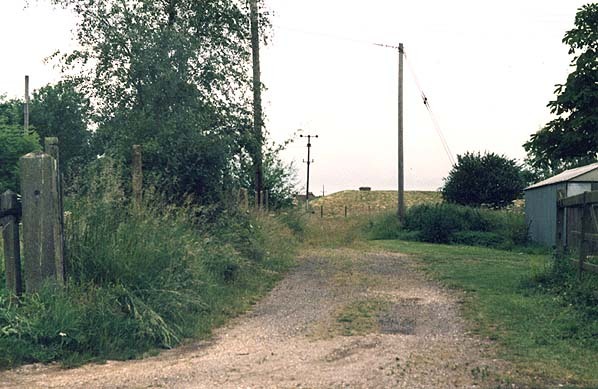 The site of Sibleys Station in June 1984 - although there is nothing left of the station, one of the level crossing gate posts can still be seen.